"A fun time with LEGOs"
Here we are with yet another LEGO movie. Has the novelty worn off yet? Are audiences tired of films from the perspective of LEGO characters traveling through various worlds built brick by LEGO brick? Have the theatrical releases of the films simply run their course? If you were to judge by the conversations being had about this film since its release, you might answer yes, or audiences are getting close to that point. You might believe that the filmmakers are having a hard time coming up with ideas that are original. They can't figure out fresh and exciting ways to execute those ideas. Whatever your thoughts, one thing to be sure about is that LEGO movies remain in touch with one particular quality at the core of their appeal: fun. The LEGO Ninjago Movie is no exception. A young boy escapes the taunts of his peers and stumbles into a small shop full of antiques from what looks to be China. The shop is managed by an old man (Jackie Chan), who after a brief conversation, begins to tell the boy a story about Lloyd (Dave Franco) a seemingly ordinary guy who has an extraordinary gift within and how he brings it out of himself. From here, we are taken into the animated world of Ninjago City where unlike in the world of The LEGO movie, everything is not awesome. 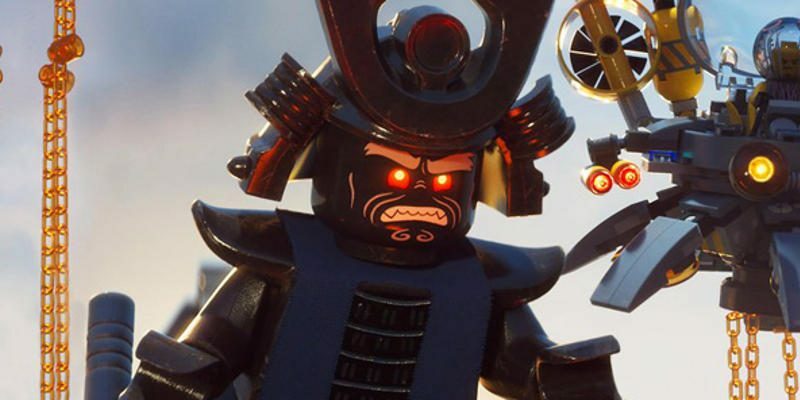 Daily, the city endures attacks from the evil villain Garmadon (Justin Theroux), who is bent on taking control of Ninjago. But every day there is hope in the form of six teenagers who control large machines, similar to the Power Rangers' power zords. Led by Lloyd, the ninja team consistently thwart Garmadon's evil plans, until one day, Lloyd and his friends come up against a fight where defeat is all too certain. LEGO Ninjago masquerades as a kind of Power Rangers/Teenage Mutant Ninja Turtles tale in the ways it handles the notion of a team and family aspects, but the heart of the film is really more Star Wars particularly in what really is a father-son story. Imagine if Luke knew that Vader was his father sooner and the tone of the original film was lighter. That is the LEGO Ninjago Movie. What's wrong with that? Nothing really, it just means that depending on how it is executed, it could leave more to be desired. There are great comedic moments in the film that make for great laughs, thanks largely to Justin Theroux’s performance, reminiscent of some of the best bad-guy performances in these LEGO movies. He also manages to bring some humility to the unabashedly bad guy. The film comes complete with great visuals and a series of almost overwhelming action sequences that can sometimes be a challenge to figure out in terms of logistics of the action, with the exception of a one-on-one fight on a bridge between Garmadon and Master Wu. While not as strong an offering as its predecessors, The LEGO Ninjago Movie is every bit as fun with performances that are just as engaging and entertaining as any that came before.